The worst thing about a divorce is futile, prejudged notions and speculations. Be it a normal wedding or celebrity one, over speculations from outsiders sometimes make the undone true and the done thing false. Same seemed to happen in case of Logic and Jessica Andrew. The couple might have been going through their own tough times since last two years after tying the knot but the spice kept on flaring up the issues and invented many rumours and speculations. The couple finally thought to take a call on it and thus announced their separation publicly. 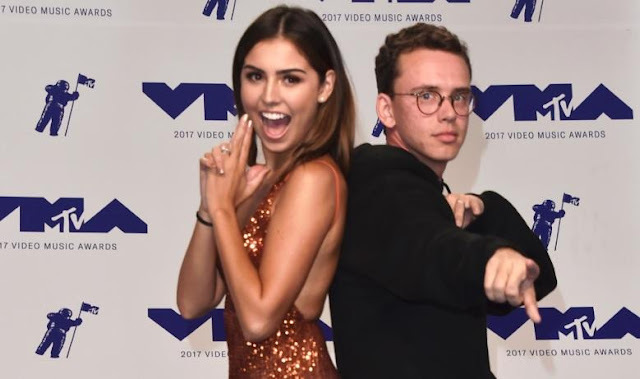 Logic and Andrea were last spotted at 60th annual Grammy awards at Madison Square Garden on 28th Jan, 2018 in New York City, post which Logic came forward and took the reigns to clear the stance. He confessed that they have finally called it quits and heading for a mutual divorce. He also mentioned that both of them will stay friends forever. He posted on twitter, “"After two years of marriage, we have come to the loving conclusion that we are much better as friends. There are no sides, there is just us. Two people who loved each other in marriage and will continue to love each other for the rest of our lives”. The Everybody rapper also took a wise stand by posting further clarification that he doesn't want any useless speculation flaring up on internet which goes into the nitty gritty of their personal decision on who did what to whom and when and why. Sir Robert Bryson Hall II, popularly known by his stage name, 'Logic' is an American record producer, singer, rapper and song writer. He was always interested in music and it was quite visible since his teenage. He launched his album as teenager, titled as, 'The Mixedtape- Young, broke and infamous”. Logic's third studio album, 'Everybody' was his first to debut at number one in U.S. on the billboard 200. Jessica is a famous pop singer who mounted the popularity chart from her relationship with rapper Logic. She has got featured on Logic's tracks as background vocalist. She has more than 800,000 followers on Instagram.